[dropcap]S[/dropcap]ubstitute Alex Iwobi propelled the Super Eagles to the 2018 World Cup with a late strike that earned the Nigerian team a 1-0 victory over Zambia. Iwobi latched onto a cutback just inside the box after good interplay between Victor Moses and Shehu Abdullahi, before drilling home with unerring accuracy in the 74th minute. The victory means the Super Eagles became the first African country to qualify for the World Cup, but they were made to work for every second of the 90 minutes by a brave and fearless Chipolopolo, who remained in the hunt for a ticket to Russia until the final whistle. The Zambians frustrated Nigeria in a feisty first half where tackles flew and both sides struggled to create anything more than half chances. The win takes Nigeria up to 13 points, six ahead of Zambia, and with one match to play, they can begin to look forward to their sixth appearance at the grandest stage of all. 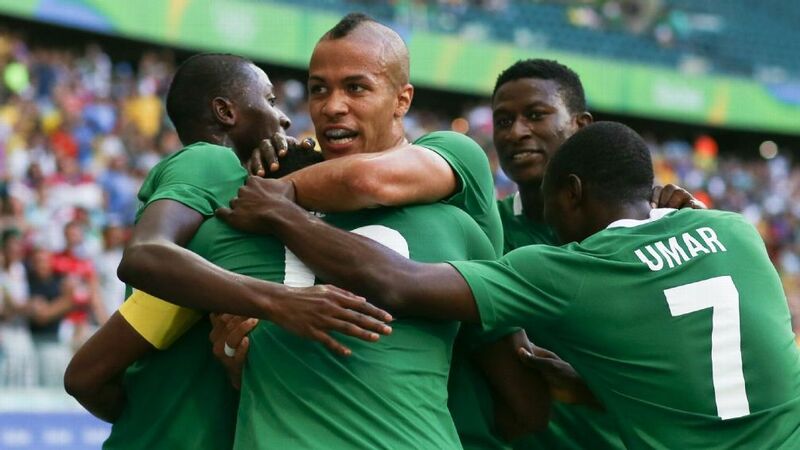 Meanwhile, President Muhammadu Buhari has congratulated the Super Eagles on their victory. The President, who described the hard-earned victory as “very sweet, soothing and a 57th Independence Anniversary gift to the nation,” applauded the nation’s senior men’s football team for the feat of making Nigeria the first African country to qualify for Russia 2018 FIFA World Cup tournament, with a match left to play.